If you are looking for something different and unique we will help you find the venue that suits you perfectly. We facilitate from Phoenix wedding venues to corporate venues and everything in between. These Unique Phoenix Venues is your blank yet creative space to create your perfect, unique and most importantly memorable event. Downtown Phoenix Venues will help you in every way we can to help create your perfect event. Please contact us to start planning your event today. We can create custom packages based on your events special needs. Riette grew up in South Africa and moved to the US in 1996, she completed her education in the Scottsdale area before attending ASU and graduating with a degree in Tourism Management and a certificate in Corporate Event Planning. Immediately after graduating she started working as the Event Coordinator for Bentley Projects. After a few months of working at the Gallery and with the Gallery’s blessing she started Downtown Phoenix Venues. Bentley Projects introduced her to monOrchid, monOrchid introduced her to The Icehouse and so the warehouse community and Downtown Phoenix Venues became a wonderful partnership. 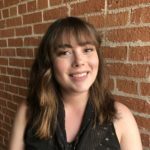 Taylor joined Downtown Phoenix Venues in late 2017. Hospitality has always been her passion, and she continues to use that enjoyment while taking care of all Downtown Phoenix Venues clients to ensure all of their expectations are exceeded. Taylor is a Phoenix native and graduated from Northern Arizona University with a degree in Hotel and Restaurant Management.